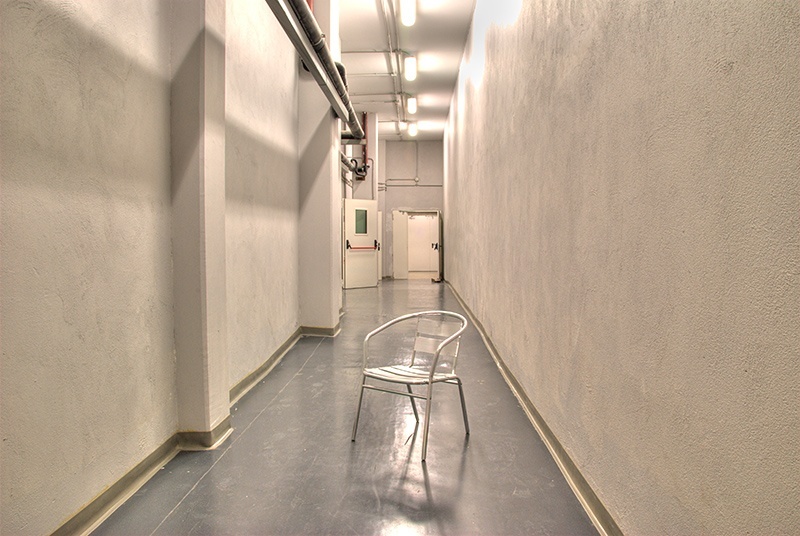 I took this picture inspired by the silence of the moment and the aluminium of the chair, a solitary presence in a solitary hallway. I think this description is a bit emblematic about some aspect of modern life. I was tempted to convert the picture in B/W, but looking better I found the general “champagne” tonality of the image, which has anyway very few colors, appealing with this dominance, so I choose to keep it as is. This entry was posted in Architecture, Color and tagged Air, chair, champagne, color, colors, hallway, HDR, image, picture, presence, red, silence. Bookmark the permalink. I like the mood this suggests and creates. A sense of solitude..of aloneness. Very nice! Great toning, I like the colors! While viewing this image I was wondering where this picture was taken. maybe at a hospital? Looks like the portrait of a lonely chair – interesting image – we really feel the solitude and the silence of that place..- well done ! Well seen and good capture. Excellent choices of composition and colors. You made a great choice keeping the color. The flatness of the blue, white and gray make for a perfect background to the red that pops out behind the chair against the far end of the wall. I just love this picture, it might be my favorite of yours so far! This is a winner! great ambiance, almost surnatural, surreal. Wonderful toning – Great Eye!